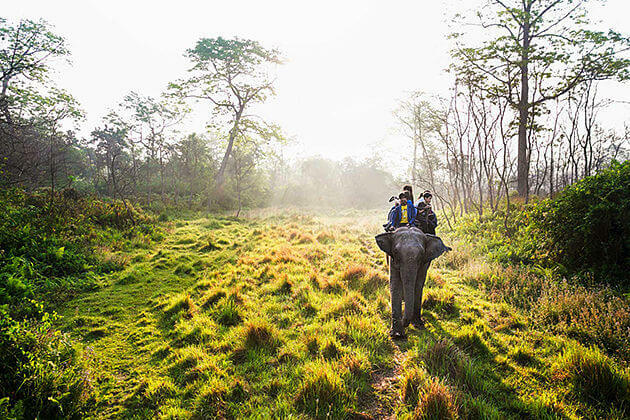 The reasons leading us to travel, perhaps, are not only indulging ourselves to the entirely new ambiance, landscapes, tradition & culture but experiencing something authentic during our stay in that country. If you ask me what we can do to enjoy such a thing, and yes, you just simply spend time staying at homestays which, I believe, offer you the authentically home-like atmosphere of the locals. Now, you know what I mean? 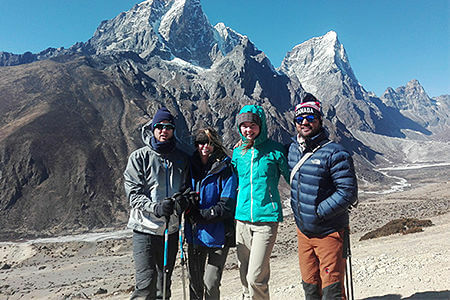 If you are planning a vacation to Nepal, keep scrolling and find yourself one of these homestays below that suits you most to experience the authentic on your Nepal tours. I have one word for this homestay – awesome. The homestay offers you a tranquil atmosphere and snug bedroom to release after an exhausting day of sightseeing around. The food here is scrumptious at reasonable prices. Staff are super friendly and helpful as they are always happy to give you advice, I’m sure. What’s more, the homestay provides an incredible atmosphere when the garden basks in the sunlight and when the sun goes down, enjoy your dinner in the lit balcony. 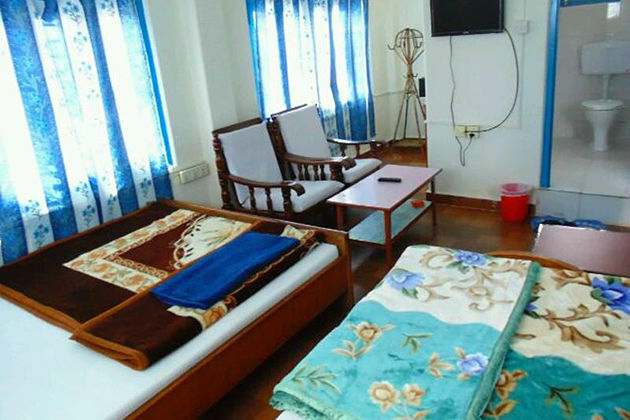 Throw away from this homestay, you can find many attractions such as Fewa Lake – the stunning area for you relax, World Peace Pagoda, a holy site making you sacred whenever you visit there, I believe. 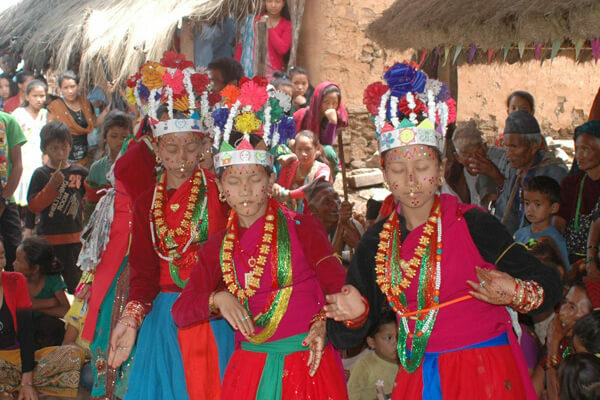 Moreover, its in-house restaurant can be another thing that will impress you with homely meals and Nepali cuisine. If you have a trip to Pokhara, I would brutally recommend you New Summit Guest House. This homestay is the perfect place for you to get away from the crowded tourist street. Moreover, during my stay there, I really fell in love with the owners and their dog. They were so sweet. When I spent time staying at this homestay, I had an opportunity to savor a delicious breakfast. If you need some help, just feel free to ask them because they are always willing to give you a hand. 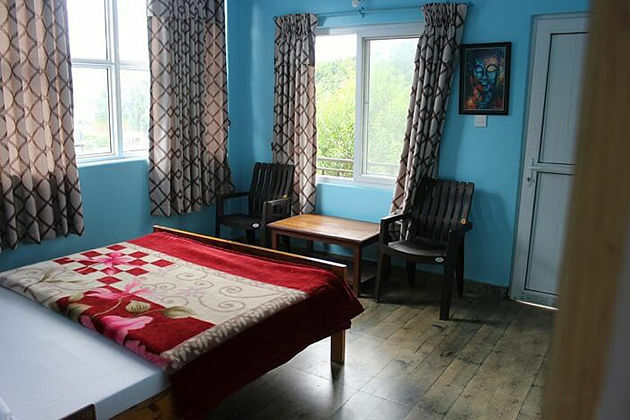 Just a few minutes away from Phewa Lake, you will reach Bicky homestay, a splendid homestay in Pokhara, Nepal which is famous for its prime location and courteous host. Once there, you can literally enjoy the boasts scenic views of the Himalayas via looking through the window. The friendly owner will also be a thing that makes your stay there is worth the money. 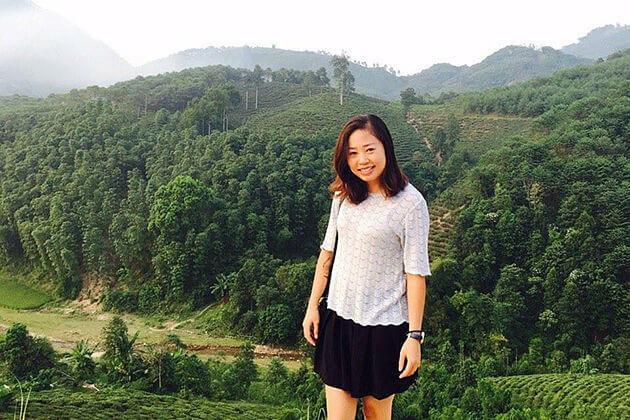 Once there, be ready to amaze at things that the homestay will bring to you. 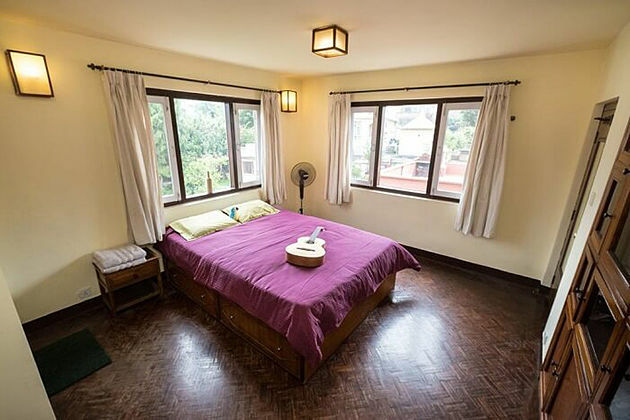 Situated in Bhaktapur, the Hotel Vintage Home provides you a cozy ambiance as each room in this homestay always come with a balcony that leads the room mostly to be full of natural light and give you an opportunity to get into the charming vista of the Bhaktapur town. Along with that, each room provides free Wifi helping you to stay in connected; a bathroom equipped with free toiletries. 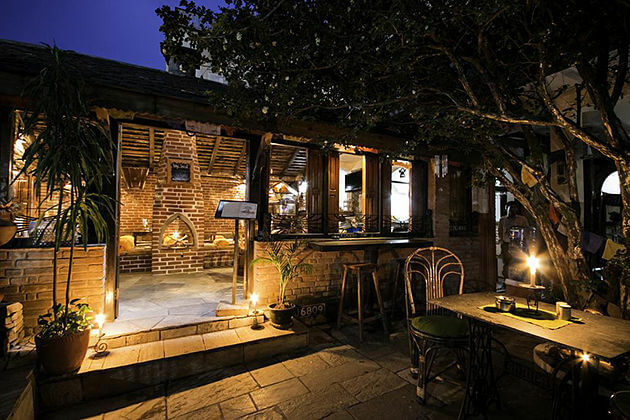 Spending time on there, you can experience the Indian as well as continent cuisine at the property. And, I would like to highly recommend that the area is good for you to hire a bike and enjoy a short cycling trip around the base. This is one of the best homestays in Kathmandu, Nepal due to its top-rated location (situated in the heart of Bhaktapur town) and hospitable staff. 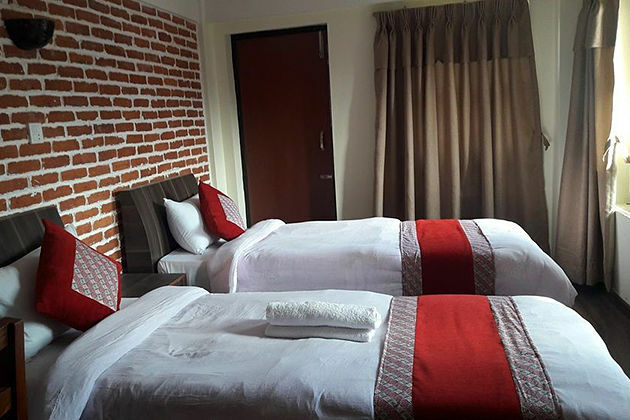 Each room in Subha Guest House offers you a spacious ambiance with a cozy color and a seating area that, definitely, will give you the right atmosphere to just let loose with your beloved partners. Asian breakfast is served each morning at there. 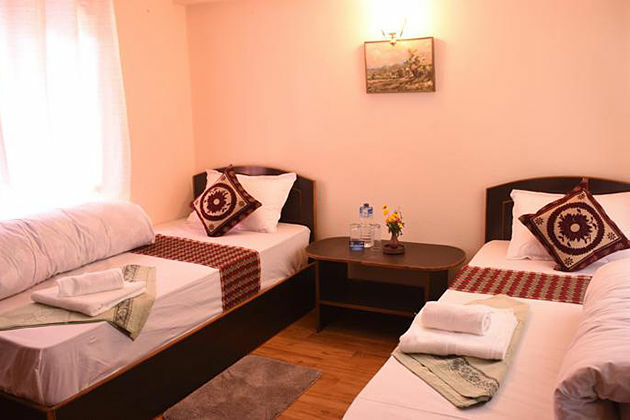 For those who want to enjoy peace and serenity, Dondrub Guest House is the well-worth homestay in Nepal for you to spend on as it is situated in the spiritual center of Nepal. 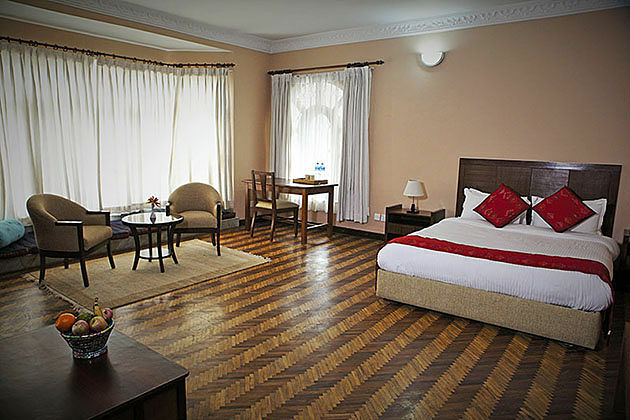 Rooms at the property are super clean and tidy with the authentic Bhutanese decoration yet modern at the same time. Also, it is a perfect place for sightseeing around the holy town as it is close to many ancient landmarks. You will fall in love with this very calm and cozy homestay, I believe. During my stay in Nepal, Swayambhu View Guest House was one of the very best homestays that I could find in Kathmandu due to its prominent location and the majestic views from the window. Room was cleaned and decorated so well along with the beautiful garden outside where I could enjoy the morning coffee; all of them make me satisfied and I wouldn’t want to leave even my vacation was nearly over. 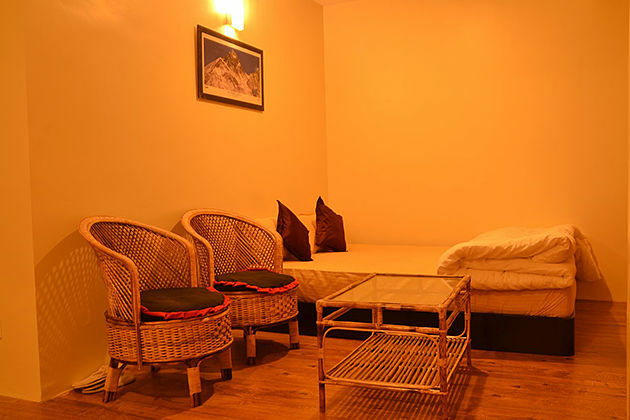 The serene location and top-class facilities are what really make this guest house to be on the list of the top homestays in Nepal. It is rare to find a library in a homestay, but once there, you will see one. Can you imagine how elegant it would be when you spend time reading a book while sitting in the backyard garden? You also can enjoy a homely breakfast and meals at the in-house restaurant. 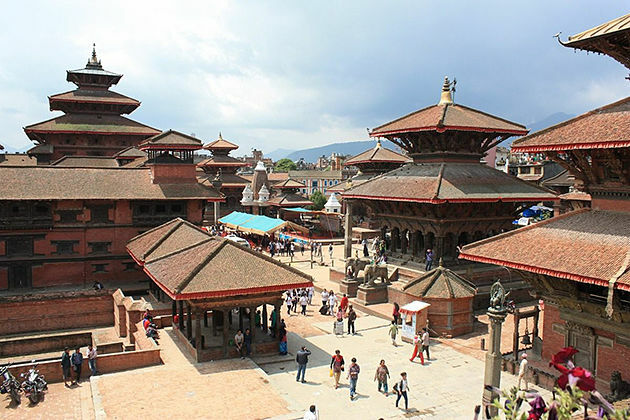 Overall, you should come here to have the best moment if you are in Nepal. Staying at this homestay, you will get an opportunity to experience the most comfortable things of this spot. 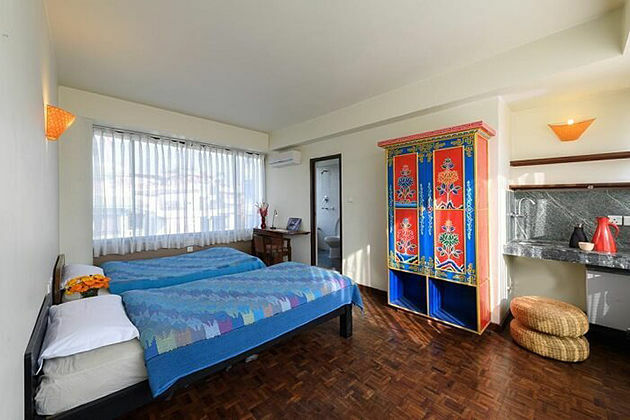 A cleaned room with free wifi for you to stay in connected to the outside world, along with private bathroom coming with toiletries and slippers, and the yellow light, then you would have the best time at there. Food in this homestay is delicious and most importantly that they have a shared kitchen where you can cook for yourself if you want. 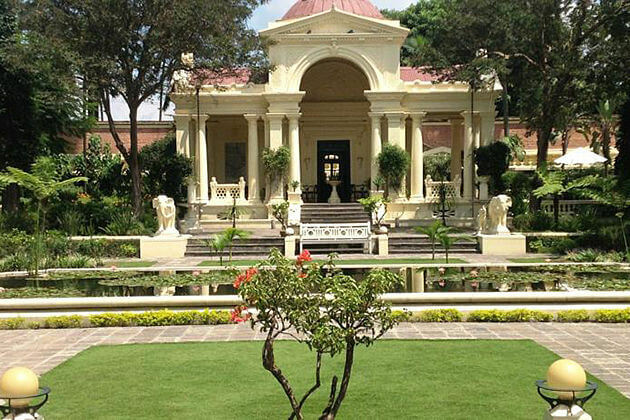 Pradhan House also has a stunning garden for those who love enjoying tranquility and serenity.